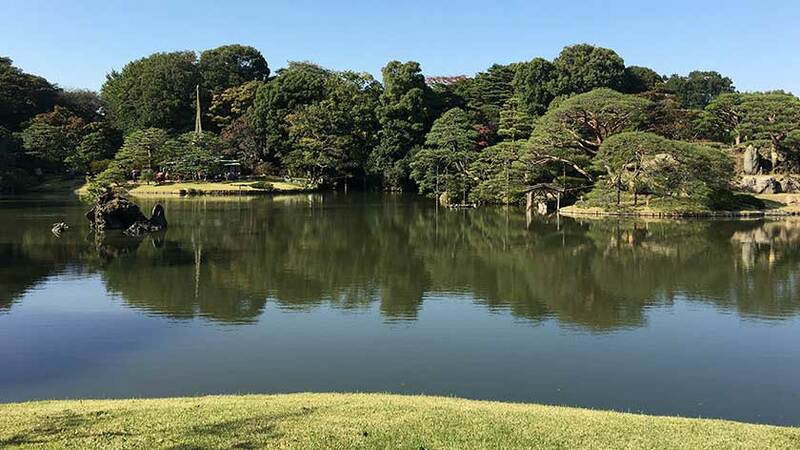 Rikugien Garden is ranked as one of the most beautiful traditional gardens in Tokyo. It represents the best of Edo Period gardens with a large pond, man-made hills, and tea houses for contemplation. Unfortunately, much of it is inaccessible to wheelchair users – including the most scenic spots. Rikugien’s name derives from the six elements found in traditional waka poetry and literally means Garden of Six Elements (of Poetry). It was created between 1695 and 1702 by Yanagisawa Yoshiyasu by permission of the fifth shogun, Tokugawa Tsunayoshi, and is a typical example of a garden from the Edo period. Though it fell into disrepair, it was purchased and restored in 1878 by Iwasaki Yataro, founder of Mitsubishi. 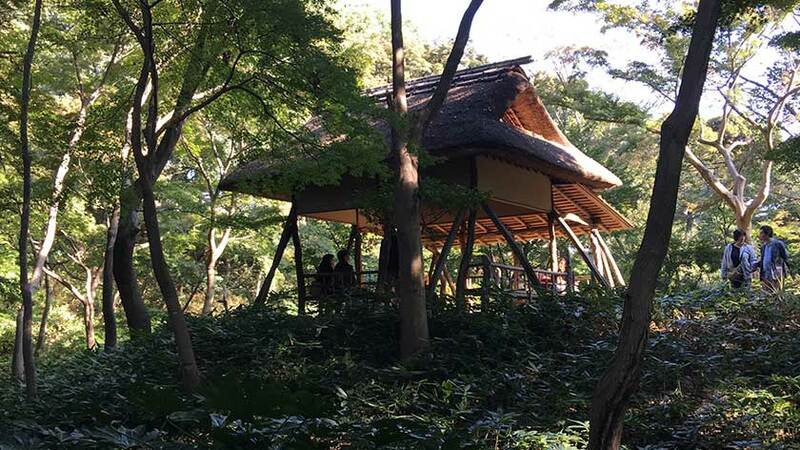 In the 1930s it was donated to the City of Tokyo and was classified as a special place of scenic beauty. There are many paths crisscrossing the grounds surrounding the main pond, and traversing them can take nearly an hour. There are various places to have tea (see warning below!) and enjoy the scenery. The garden is particularly popular in autumn for the fall leaves, as well as various blossoming flowers in the spring. It is open daily from 9:00 to 17:00 (entry until 16:30) – with the exception of New Years from December 29 to January 1. During special events in autumn and spring when the trees are lit-up, the garden is open until 21:00. In theory, people with a disability identification card can enter for free with a companion. However, there is a chance foreign IDs may not be accepted, depending on the staff. In this case, entrance is 300 yen. 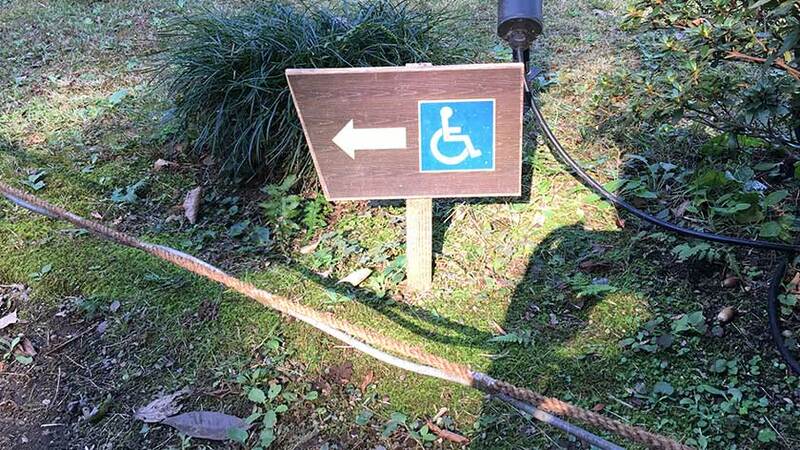 Unfortunately, Rikugien Garden presents a number of challenges to people with disabilities. First, there are a few good things. Wheelchairs are available at the main gate for those who would like to borrow one. 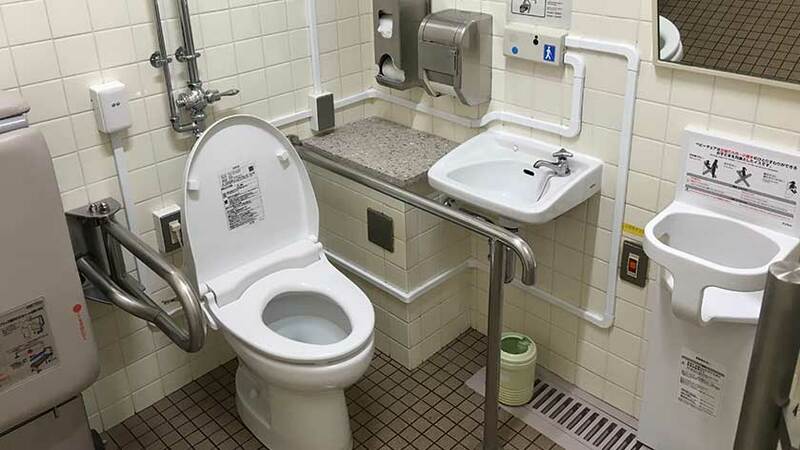 There is a small accessible toilet near the front entrance (all other toilets are not accessible). The park has two suggested routes for wheelchair users clearly listed on all maps along with the approximate time to complete them. 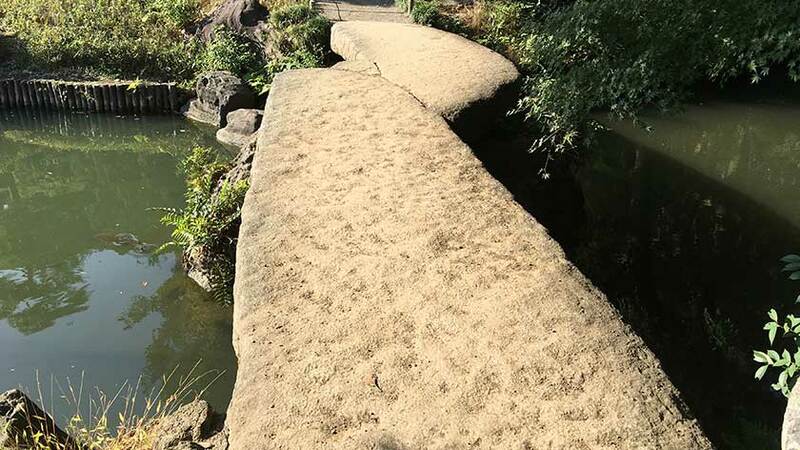 While there are suggested paths for wheelchair users, they are made entirely of dirt and gravel. 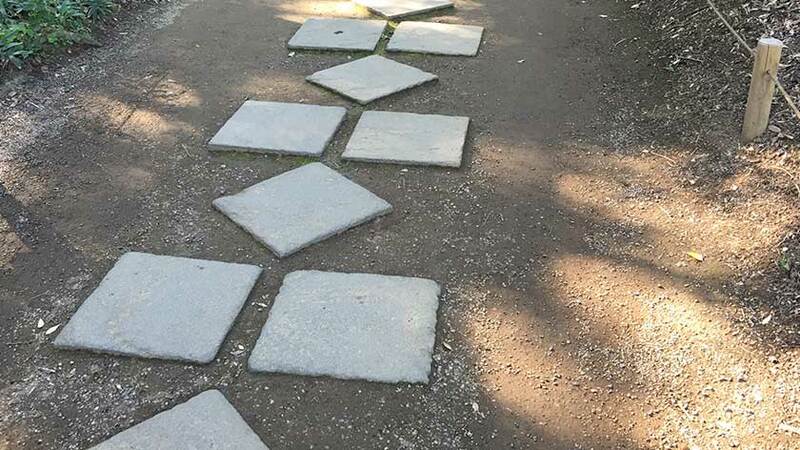 Many places feature stone walkways which can be difficult to traverse and uncomfortable in a wheelchair. 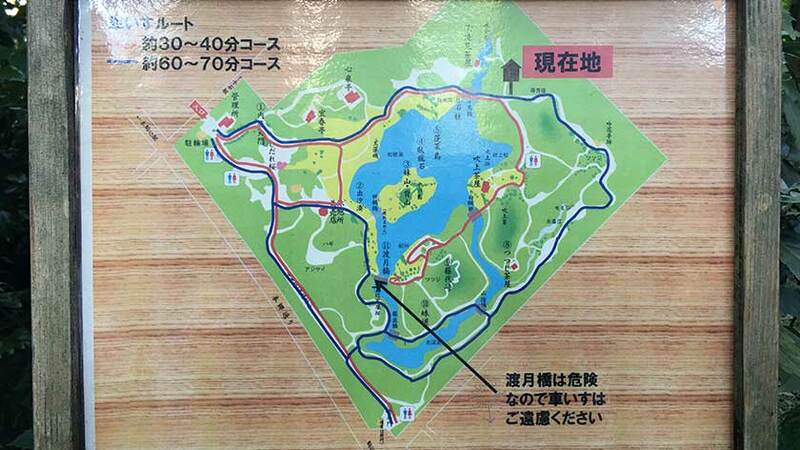 Additionally, there a number of bridges to cross while on the paths. One is restricted from wheelchair users (for good reason as it is a rock crossing a pond), but the others can be crossed. However, these bridges can be a bit frightening – they are narrow, they can be a bit steep, and they have no railing to prevent falling into the water below. 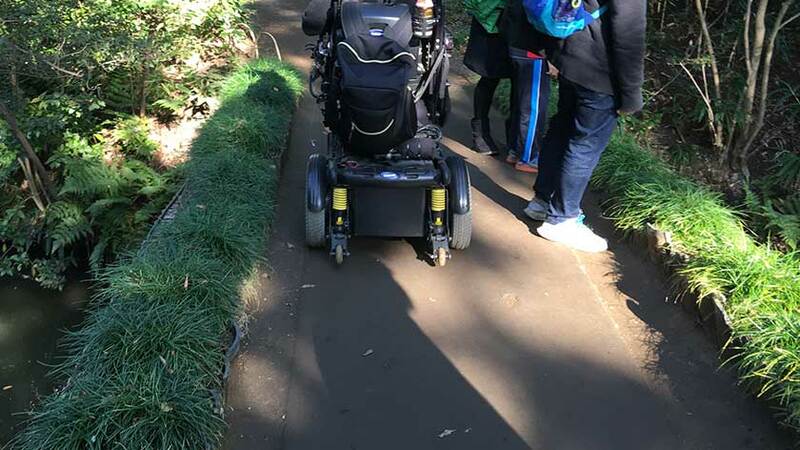 The most unfortunate part of visiting Rikugien with a disability is that all of the points of interest are not accessible. 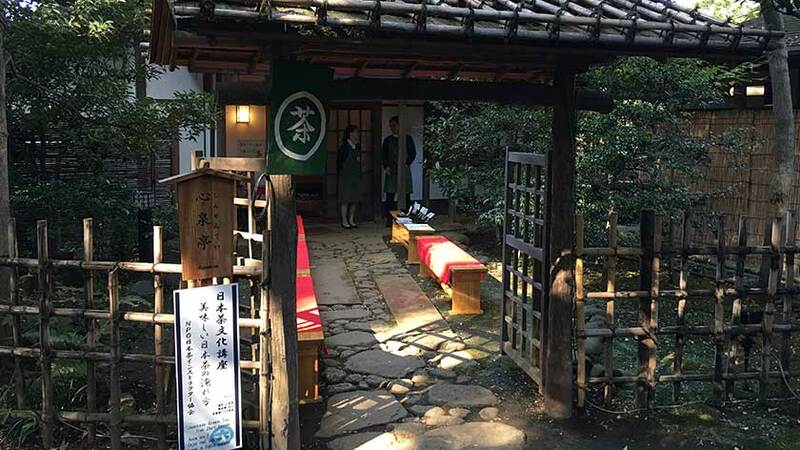 Shinseitei is the first tea house you will come across, but it only has steps to enter it (though the staff said they would prepare tea on the benches at the entrance of the tea house for those who cannot enter). 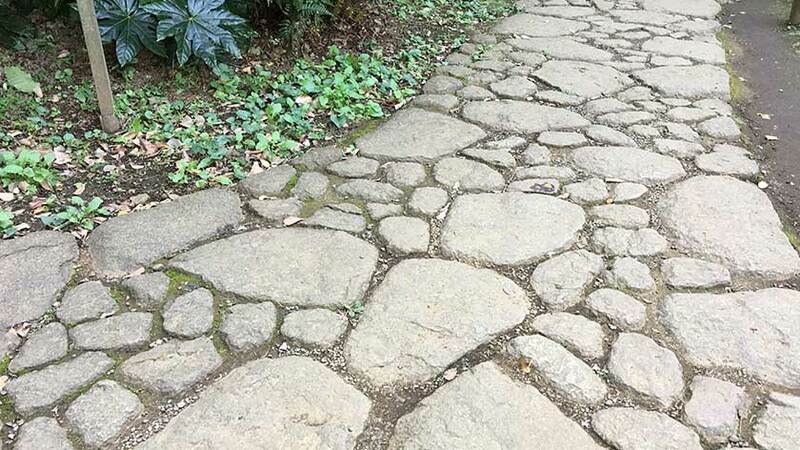 Takimi no Chaya can be accessed, but the walkway is made of very rough cobblestone. Tsutsuji Chaya, Fukiage Chaya, Fujishorotoge view point, and Togetsukyo Bridge are not accessible. This is very unfortunate as they are the most scenic spots. 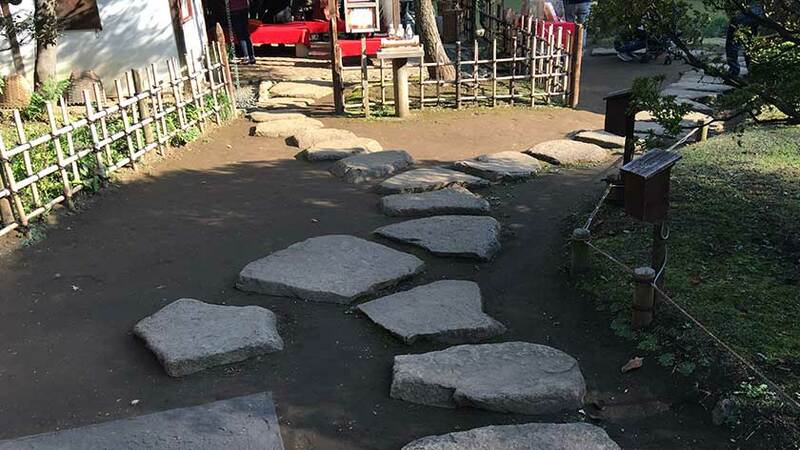 Especially frustrating, is Fukiage Chaya tea house since the only thing blocking access is a walk-way made of very large stones.